The Guided Bite Blog | Eating right with every bite! I first encountered this recipe on Iowa Girl Eats. Bacon wrapped dates are one of those iconic appetizer combos – yet rarely do you see them combined in anything else, right? I’ve modified Kristen’s version a tad, but still adhereing to the flavor profiles.The kale is massaged to allow it to soften and wilt, making it less bitter. This only takes 30-60 seconds. You could play around with different cheeses (e..g, Parm, goat, feta, gorgonzola, blue), based on whatever you like or have on hand. This is especially helpful during the so-called kale revolution, during which people are looking for innovative ways to use this super-green. This could be served with a poached egg for a more protein-rich dish. This versatile, easy recipe offers bold flavors that will have you making it over and over. Heat oil in a large skillet over medium-high heat. Add onions and fry until golden brown, stirring constantly. Remove to a paper towel-lined plate to drain then sprinkle with salt and set aside. Turn heat down to medium then add bacon to skillet and cook until browned and crisp. Remove to a paper towel lined plate to drain then set aside. Remove all but 2 teaspoons bacon grease from the skillet. Add kale and dates, then saute for 30 seconds. Add vinaigrette and then toss until just coated. Divide kale between two plates then top with reserved bacon, crispy shallots, and feta cheese. Whisk oil and vinegar together with garlic. Slowly add maple syrup, while continuing to whisk. Serve or store in fridge for up to 7 days. I had this idea to create my own, homemade version of canned dog food. Most dogs love it, and I use it as a topper to Flynn’s dry kibble. It’s often hard to find wet food without preservatives or all-natural ingredients. And when you find those products, they are often very expensive. I figured that making my own version, using ingredients that Flynn enjoys, would be a cool idea. Make a large batch and freeze it in small portions. If you’re like me, a little will go a long way, as it just serves as a nice compliment to kibble. I feel better knowing what’s in it, and it can be tailored many different ways, using various meats, vegetables and fruits! I used coconut oil, rich in Lauric acid (a medium changed triglyceride), which is known for anti-bacterial/anti-fungal properties. I have been using it, drizzled on dry kibble, for nearly a year. Flynn loves it, and I am convinced that it has helped his skin condition. I used millet here, but you could add whatever grains you like: quinoa, amaranth, millet, brown rice, barley (not gluten free), etc. Remember, these foods are unsafe for dogs: grapes, raisins, persimmons, avocados, onions, garlic, chives, rhubarb, mushrooms (wild), tree nuts, peanuts (peanut butter is OK), nutmeg, raw/uncooked yeast dough, cocoa/chocolate. Cook bacon in a skillet or dutch oven on medium high heat until it crisps. Remove and allow to dry on a plate between paper towels. Add coconut oil to the pan. Next, add cubed beef in batches. Do not crowd pan. Remove each batch to plate with cooled bacon. When all the beef has been browned, add carrots and, and allow them to soften slightly. Add sweet potatoes and saute for 4-5 minutes. Add chicken broth and millet. Cover pan or dutch oven and allow mixture to simmer for 30 minutes. Add beef back into stew, and stir well. Add apples and peas. Simmer for another 5 minutes. Remove from heat and stir in cooked bacon, parsley, and Parmesan cheese. Allow to cool completely before transferring into glass containers. Keeps in fridge 4-5 days, and in freezer 3 months. We’ve all seen those adorable “California cows are happy cows!” commercial, right? 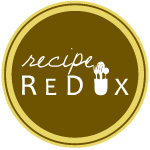 This recipe contest invited Recipe Redux bloggers to showcase a “lightened up” recipe using a California Dairy product. Dairy is rich in protein and calcium, and often is fortified with vitamin D. Lucky for most of us, California dairy products can be found easily at many supermarkets. Look for the seal! For information on how California Dairy products can play a role in a healthy diet (including coupons and recipes! ), visit RealCaliforniaMilk.com and HealthyEating.org. March is National Nutrition Month and The California Milk Advisory Board, which represents more than 1,500 dairy families, is celebrating “dairy good” nutrition by challenging Recipe ReDux members to “lighten up” some of their favorite recipes with California cow’s milk dairy products as an ingredient in recipes for breakfast, lunch, dinner, side dishes, snacks, appetizers or dessert. I love rice pudding. I also love ice cream. Why not merge the two? I realize that spring is coming (so says the calendar), but these cold winter nights still beg for something like this. The warmth of the cardamom elevates this simple dish into an frozen version of rice pudding. You know when you want that sweet pick me up, that won’t put you over the edge. This is it. It’s a simple, few ingredient show stopper, that you can whip up to treat yourself. Literally the Italian word for drowned, an affogato is a scoop of gelato drowned in espresso or coffee. The trick is to use really good ice cream or gelato, which melts beautifully, but quickly, into the coffee. The result is an indulgent frothy latte-like treat. I used homemade vanilla ice cream here. Place ice cream in a glass mug or cup, then pour in espresso or coffee. Top with frothed milk, shaved dark chocolate and chopped hazelnuts if desired. Drink immediately. I know that the title is long and cumbersome, but I felt like I had to get your attention! This month’s Recipe Redux‘s task was to blog a pizza recipe ~ everyone’s favorite! This comes at perfect timing during award-show season, and of course, football. This recipe was born from my love of pizza and salad, together. I absolutely love the bacon, ricotta, herb pizza from OTTO Pizzeria, so that was the inspiration for this! It’s a nice break from regular ‘ol margherita pizza. Crisp bacon in saute pan. Remove with slotted spoon and drain on paper-towel lined plate. In the same pan, saute onion in the bacon fat for 10-15 minutes, until soft and caramelized. Season with salt, to taste. Add fresh thyme. Remove from heat. Meanwhile make the crust: Combine flour, salt, sugar, and yeast in a large bowl. Mix in oil and warm water until combined. Spread out on a large pizza stone or baking sheet. Pierce with a fork. Pre-bake crust for 5 minutes. Assemble pizza by topping pre-baked crust with onions and bacon. Scatter shredded mozzarella cheese. Top with dollops of ricotta cheese. Bake for 10-12 minutes, or until desired crispness. Cut into slices. While the pizza is baking, make the salad. Whisk olive oil, lemon juice (or vinegar), salt and pepper in a salad bowl. Add arugula and toss well. To serve: top slices of pizza with handful of arugula.